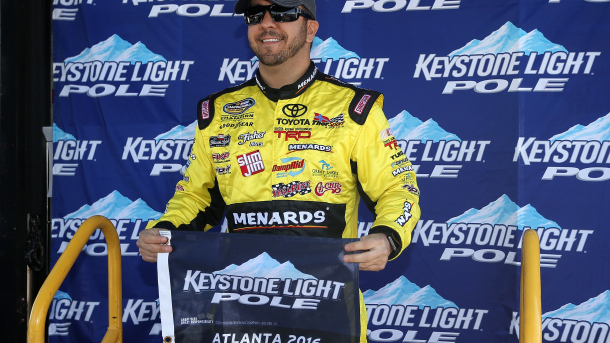 Two-time NASCAR Camping World Truck Series (NCWTS) champion, Matt Crafton – with a qualifying lap speed of 179.790 MPH – captured the pole for today’s NCWTS Great Clips 200 at Atlanta Motor Speedway (AMS). This was Crafton’s first series pole and second top-10 start of the 2016 season, his 12th series career pole in 363 races and his first pole in 15 races at AMS. John Wes Townley will start on the outside pole in second with a qualifying lap speed of 179.685 MPH, while series Rookie of the Year (ROTY) contenders, Christopher Bell (179.662 MPH) and Grant Enfinger (179.371) will start third and fourth respectively, and Cameron Hayley (178.758) starts fifth. Rounding out the top-10 starting positions will be ROTY contender, Cole Custer (178.631 MPH) starting sixth, ROTY contender Ben Rhodes (178.447) seventh, Ryan Truex (178.430) eighth, Daniel Hemric (178.361) ninth and Ben Kennedy (178.327) qualifying in 10th. Failing to make the 32-truck starting lineup and heading home were Ryan Ellis, Norm Benning, Korbin Forrister, Jordan Anderson and Timothy Viens. The 8th annual Great Clips 200 is slated to get started around 4:50 p.m. ET after the NXS Race today, and television coverage of the race will be provided by FOX Sports 1. 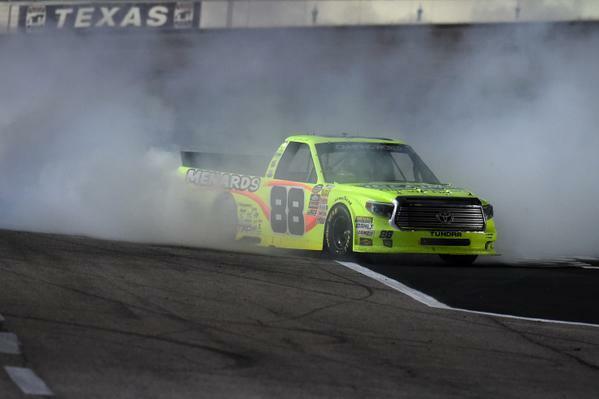 The defending 2014 NASCAR Camping World Truck Series (NCWTS) champion, Matt Crafton – with a qualifying lap speed of 176.396 MPH – captured the pole for this evening’s Rhino Linings 350(k) at Las Vegas Motor Speedway (LVMS). 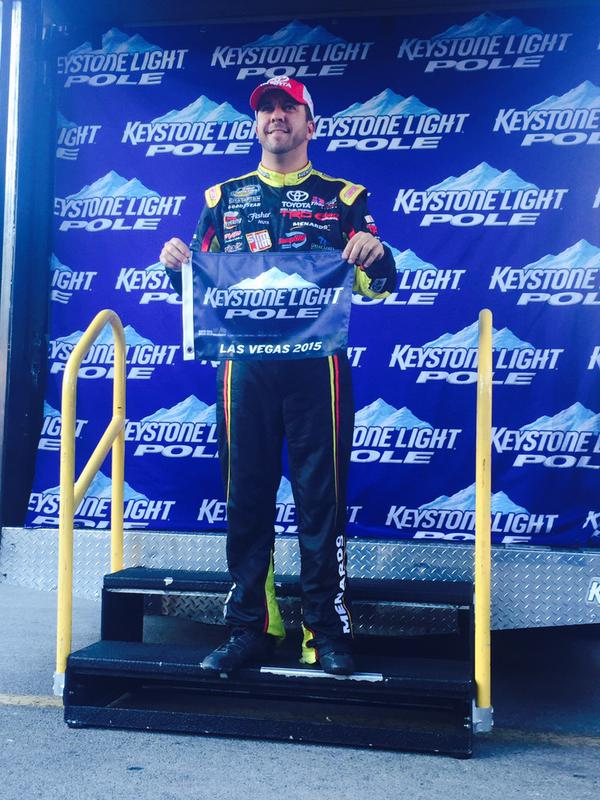 This was Crafton’s second series pole and 14th top-10 start of the 2015 season, his ninth series career pole in 356 races and his first series pole in 15 races at LVMS. John Wes Townley, with a qualifying lap speed of 175.758 MPH, will start on the outside pole, while series Rookie of the Year (ROTY) contender, Brandon Jones (175.678 MPH) starting third, Timothy Peters (175.490) fourth and Christopher Bell (175.308) starts fifth. Rounding out the top-10 starting positions will be ROTY contenders Cameron Hayley (175.234 MPH) and Austin Theriault (175.160) starting from sixth and seventh respectively, Mason Mingus (175.012) eighth, Ben Kennedy (174.961) ninth and ROTY contender Spencer Gallagher (174.808) qualified in 10th. 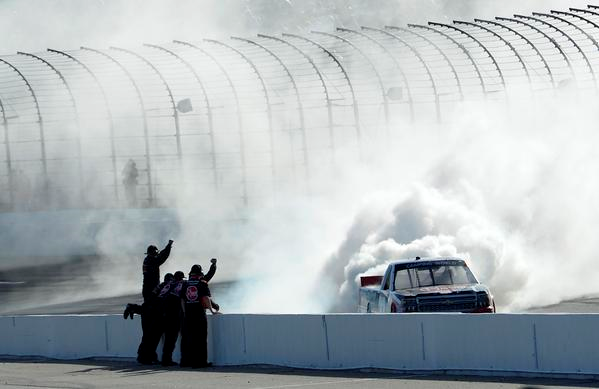 With only 32 drivers attempting to fill the 32-truck field, there was no one failing to make the race and going home. 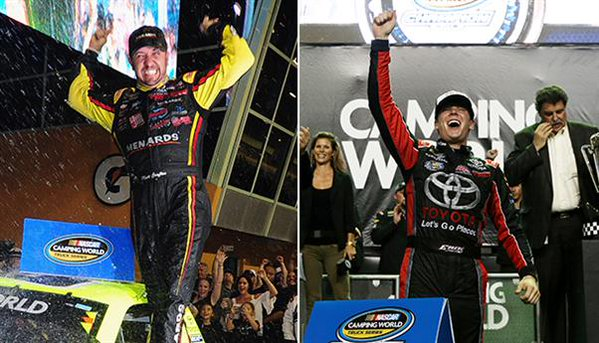 The 19th annual Rhino Linings 350(k) is scheduled to get underway around 10:20 p.m. (ET) tonight on FOX Sports 1. Kasey Kahne wins Truck pole, could it be start of a weekend sweep? 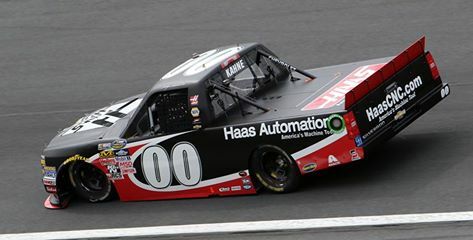 Kasey Kahne, with a qualifying lap speed of 181.342 MPH, captured the NASCAR Camping Word Truck Series (NCWTS) pole for tonight’s North Carolina Education Lottery 200 at Charlotte Motor Speedway (CMS). This was Kahne’s first series pole of the 2015 season, his series career pole and his first series pole at Charlotte Motor Speedway. Starting on the outside pole to start second with a qualifying lap speed of 181.008 MPH, will be series Rookie of the Year (ROTY) candidate, Erik Jones; followed by Matt Tifft (180.511 MPH) starting third, Brad Keselowski (180.499) fourth and ROTY candidate Daniel Hemric (180.270) starts fifth. Rounding out the top-10 starting positions will be Scott Lagasse Jr. (180.192 MPH) starting sixth, Tyler Reddick (179.253) seventh, ROTY candidate Ray Black Jr. (178.589) eighth, Matt Crafton (177.760) ninth and Ben Kennedy (176.927) claiming the 10th starting spot. Failing to make the 32-truck starting lineup were Todd Peck, Brandon Brown and Ryan Ellis. The 13th annual North Carolina Education Lottery 200 is scheduled to get underway tonight at approximately 8:50 p.m. (ET), with television coverage provided by FOX Sports 1.